Floyd and good friend Jeff Gardner during a recording session for Pam Bowman's Hammered Hymns Unto Him. Floyd went to be with the Lord on November 28th, 2001. Floyd Fox was one of the nicest guys you are ever going to meet. Even after playing banjo for more than 60 years! He stayed very active right up until the night he passed away. 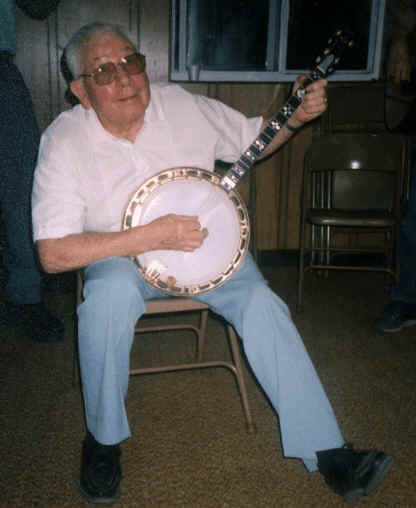 He lent his banjo strumming to many local groups and gatherings. He is survived by his wife Lettie who was his high school sweetheart.